Speech and language therapy treatment is typically viewed in two ways: pull-out versus push-in. Pull-out therapy occurs outside of the student’s classroom for an allotted amount of time, typically without his or her peers, while push-in therapy, in the school setting, is when services are provided to the student in the classroom setting or in the context of everyday routines with their peers and teachers present (Roberts et al., 1995). This article will look at the benefits of push-in or “milieu” therapy services as compared to the traditional pull-out model. When providing services in the context of the classroom there are a variety of strategies that can be used to build communication competence for students. The push-in model of providing speech and language services to students can take on several forms. Within the classroom setting the speech-language pathologist (SLP) can present a lesson to all students on a specific target that could benefit all students, such as social skills (McGinty et al., 2006). A second approach that allows for language strategies to be implemented into a lesson is when the SLP and teacher plan and teach a lesson as a team. The skills being targeted or the material that needs to be presented will help guide the team on whether the SLP will lead or assist in lessons or routines in the classroom setting. Even if the therapist is unable to attend or assist in a lesson, they can obtain materials from the teacher and modify and/or add supplemental materials for their students. Milieu (push-in services) or those provided within the student’s natural environment can benefit the student’s communication development in different ways. Generalization of skills is one of the major goals of SLPs when teaching communication goals to our students and “…considerable research has shown that most children with disabilities are less likely to generalize their communication skills unless the environment where communication skills are taught is very similar to the environment where they are used” (Roberts et al., 1995). Teaching communication skills in the natural environment would allow students to practice skills and seamlessly generalize them with a variety of communication partners. Providing services in the classroom setting allows for the SLP to collaborate with various disciplines and team members which will allow for these individuals to be a part of the planning, treatment and carryover. At Shrub Oak International School, a majority of service delivery occurs in various settings across a student’s day – from academic classes, to the farm; to the dining hall and job sites. This allows for transdisciplinary collaboration, generalization of skills and full team ownership of students’ goals. As a result, students have demonstrated growth in communication skills, as evident by data collection, staff reports, and parent reports. It is important to recognize that although there are benefits to providing services within the natural environment, there are times when a student can benefit from the traditional model of pull-out services. Clinicians should gather evidence from reviewed sources, reflect on previous experiences, and view each student as an individual in order to make the decision that will best meet the needs of each student on their caseload (McGinty et al., 2006). When providing services for students with communication needs there is an extreme amount of variation and it is crucial to account for these differences and realize there will not be a “one size fits all” approach to treatment but rather a combination of both models dependent on the ever-changing needs and challenges of each student (Wilcox et al., 1991). While providing therapy in the context of the classroom, strategies will be used that will support the integration and development of communication. Visual supports are used to assist students in processing incoming verbal language because visuals are easier to understand (Rao et al., 2006). Picture symbols, visual schedules, choice boards, graphic organizers, and task analyses are all examples of visual supports that can be provided to a student or used in the classroom to increase communication and independence in completing tasks. Just like when deciding on a service delivery model, it is important to create visual supports that are unique and based on the needs of each student to guarantee that visuals will assist the student (Rao et al., 2006). Visual supports can be used to develop and support the various domains of language, including expressive language, receptive language and social communication. Deficits in the area of social communication can include delayed play skills, decreased initiation of interactions, and difficulty engaging or maintaining conversation. The development of these skills in the classroom setting can be supported by the use of video modeling. In video modeling, the student is shown a video that displays a particular skill in an environment with limited distractions and then provided with the opportunity to practice the skills with his or her peers or staff (Green et al., 2013). Teaching social skills in the classroom setting allows for peers to be readily available to practice a variety of social skills, such as turn taking, in the naturally occurring environment, which can certainly benefit all students in the classroom. Making the decision to provide milieu speech and language services in order to build communication skills can be beneficial to both students and the staff working with the student. Providing services in the natural environment, whether that be in the classroom or on the job site, can promote increased generalization of skills and the opportunity for staff to observe and practice how to incorporate communication targets into their lessons and classroom routines. The use of visual supports and video modeling in the classroom can help build communication competence and foster independence while looking at each student and tailoring these strategies to ensure that their needs are being met. 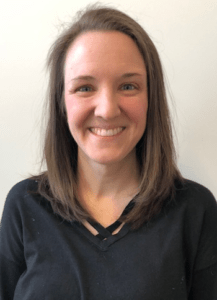 Erin Del Duca, M.S., CCC-SLP/TSSLD, is a Speech-Language Pathologist at Shrub Oak International School and can be reached at 914-885-0110 x712, edelduca@shruboak.org. For more information please visit www.shruboak.org. Green, V, A., Drysdale, H., Boelema, T., Smart, E., van der Meer, L., Achmadi, D., Prior, T.,… Lancioni, G. (2013). Education and Treatment of Children. 36 (2), 59-85. McGinty, A.S., & Justice, L.M. (2006). Classroom-based versus pull-out interventions: A review of the experimental evidence. EBP Briefs, 1 (1), 1-25. Rao, S, M., & Gagie, B. (2006). Learning though seeing and doing: Visual supports for children with autism. Teaching Exceptional Children, 38 (6), 26-33. Robert, J.E., Prizant, B., & McWilliam, R.A. (1995). Out-of class versus in-class service delivery in language intervention: Effects on communication interactions with young children. American Journal of Speech-Language Pathology, 69(4), 87-94. Wilcox, M.J., Kouri, T.A., & Caswell, S.B. (1991). Early Language intervention: A comparison of classroom and individual treatment. American Journal of Speech-Language Pathology, 1, 49-60.